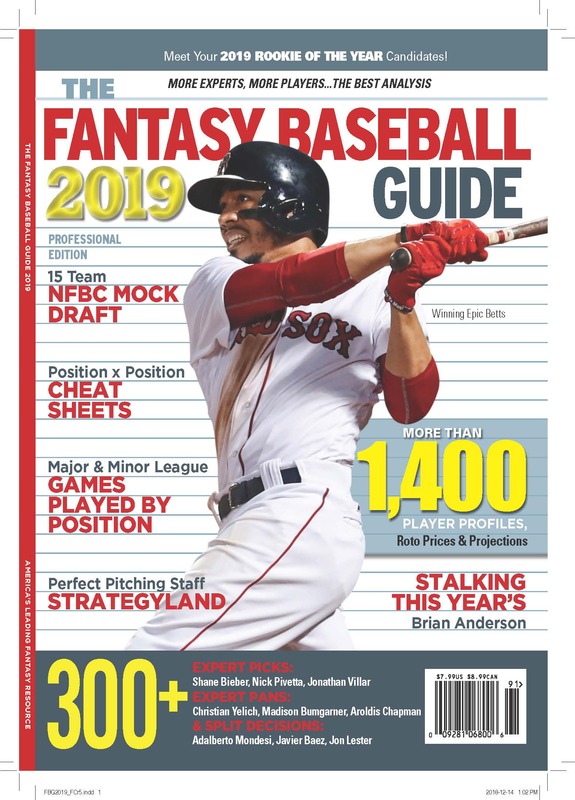 Ask Rotoman: Should I Trade Mookie Betts? I’m in a dynasty H2H total points based. Got a trade offer. Mookie Betts. Mike Clevinger and Pick 42. I dont have much depth and close to the cap. I’ll drop braun and I have Cueto I can easily drop to make room. Thoughts on the deal, I could use the advice on this one please. Juan Soto is not as valuable as Mookie Betts, because he won’t run as much, and because he’s had one amazing partial season, while Mookie has proven he’s a Top 5 player. Blake Snell is probably equally better than Mike Clevinger as Mookie is better than Soto. So these two pieces wash. If you had enough hitting and needed pitching, that’s a deal you might do reasonably. Since it looks like you have hitting and need pitching, that’s an argument for it. The rest of the trade has you giving up Pick 42 and getting Pick 29 and Pick 53 plus Jon Lester, who is not a sure thing to be excellent, but has a decent chance of it. In a league with as many keepers as your teams seem to have, there is very little difference between picks 29, 42 and 53, and you get two for the price of one. Since Lester is better than Cueto, who is going to miss the whole year, he’s a bonus. Could you lose this trade? Certainly. My rule of thumb is don’t give up the best player in a deal in return for depth, especially in shallow leagues, where only the very best players are much above replacement level, but I like Snell enough this year (I like Clevinger, too, but not quite as much) that the core is a solid pitching for hitting deal, and the add ins are a bonus.